Relax in our sea of leisure and enjoy the view of sunny skies above. Splash in the placid waters of our day pool and enjoy the view while doing so. Come experience a dip in our shaded waters, take a churn in it anytime. A deck of serene warmth. Come meditate on the inner vitality of life. Calm your body, unwind your senses. Find your peace of mind on our floating yoga deck. While your eyes take in the skyline, find sanctuary for your soul. Come to a place where life's workout is necessary, and roll into your own rhythm of movement. 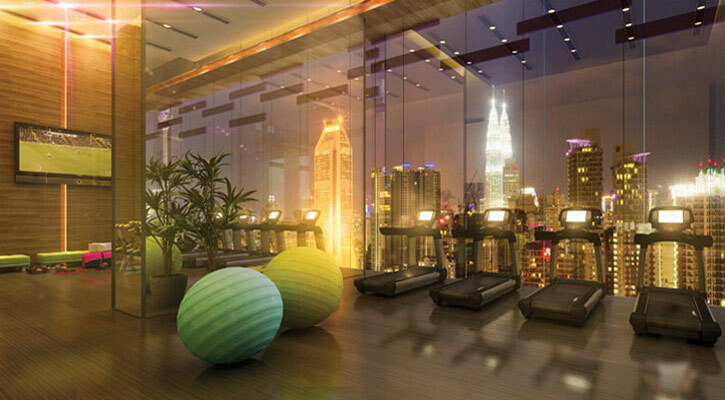 Sweat out your energies to a sporty routine at our gymnasium. Build resistance, and push through limits to your own potential. Let our facility give you the tools for this achievement. The sense of infinity is deep with elegant emotions. Immerse yourself in a sense of romance and the city. 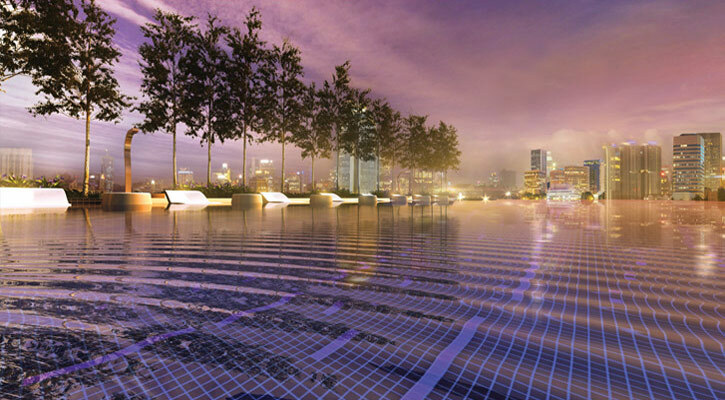 Drift on sensual rhythms of possibility, in our never-ending infinity pool. Follow the gentle surface breeze, and float to the very edge - all in your private time, high above the bustle and hustle. Your private domain beckons beneath the soft velvet of starry skies. 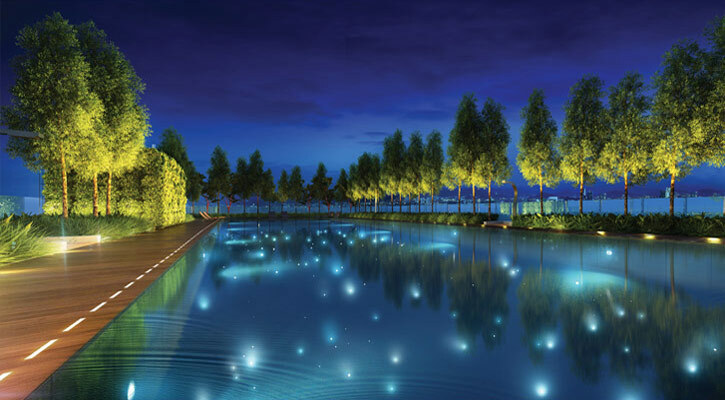 A twinkling of myriad optic illuminations spread out across the vast expanse of our galaxy pool. It is your time for romance, in mood for night contemplations between starry constellations. 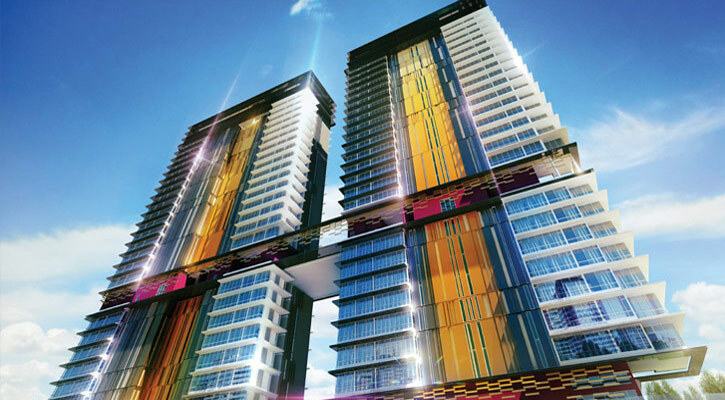 Shift your sight to our striking facade that sets the tone to a new wave of infrastructure design. A balance of rhythms, a rainbow of colors, a thrilling mix of life choices - all composed and combined in a marvelous architecture, that's truly a lifestyle infrastructure.